The upload function of the site has worked for the past 2 test bootskins I recently submitted so I'm being brave and submitting another one I've been sitting on for a bit. This is a simple straight forward windows 7 bootskin, I think it looks pretty good for 16 colors, the blue & black is very nice. 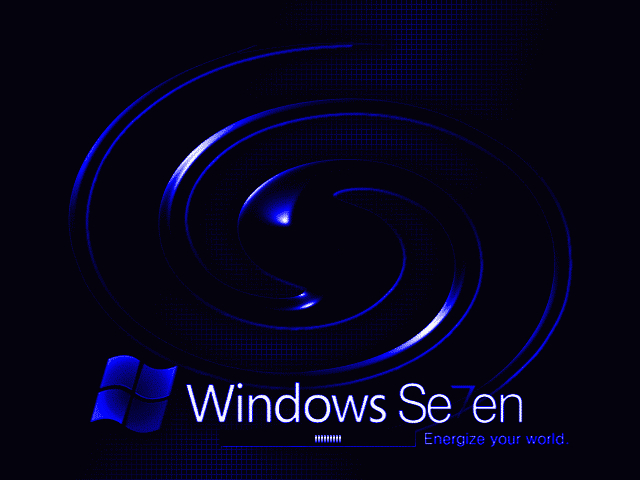 Contains the Windows Seven logo, a custom blue/black swirl image on a faded black grid background and a multi-tone progress bar.